The common problem most Android users face today is the app being crashed abruptly. You got stuck on a login screen or somewhere else. Sometimes, app may freeze and your phone starts hanging. These types of problems mainly occur due to the bug present in the application. A bug is an error or failure that causes an app to produce incorrect or unexpected results, or to behave in unintended ways. It may also be possible that the app version isn't compatible with your device when you update the software. To solve all kinds of app-related issues, the easiest way is to force stop an app and delete all its cache and app data. This is what we do when our phone or computer hangs: shutdown and restart it. 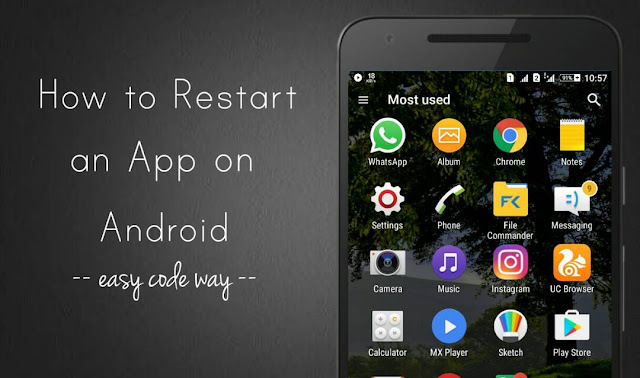 Here in the tutorial, I will guide you how to clear cache and data of an Android application and restart it again. First, go to Settings and click "Applications or Apps" option. Now move to "All" tab and find the app you want to restart. In the app info window, tap the "Clear cache" button to delete all app's cached data. To delete app data, click "Clear data" button and allow permission in the following popup box. You can also force stop an app from running in the background. 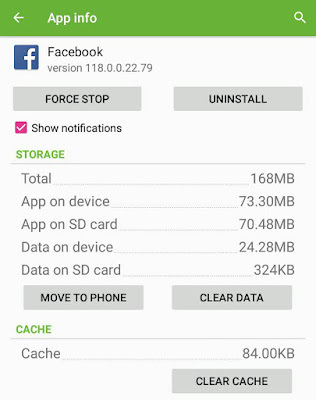 Once the app data and cache is deleted, application will start as if you have installed it again. It will work smoothly without crashing and affecting your phone's performance. 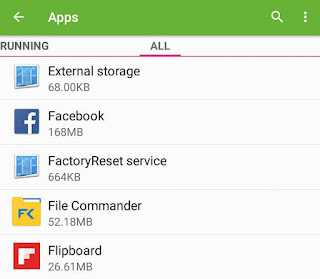 Every app needs some free space in your phone to work properly. In order to the improve the performance, apps may retrieve some frequently used files as a cache and save them in your phone memory. These cache files are known as app cached data. While on the other hand, app data includes all app files, settings, accounts, databases etc,. When the storage space is running out in your phone, app may not get sufficient space to work and thus it will crash. When you delete app data and cache, you're making some free space for an app. Note: Clearing the app cache will just delete the temporary files but when you clear app data, it will delete all files, settings, accounts and databases. That means, you will lose all your saved data. So make sure to take a backup before. If you want to ask something about this tutorial, please do share it in the comments below.